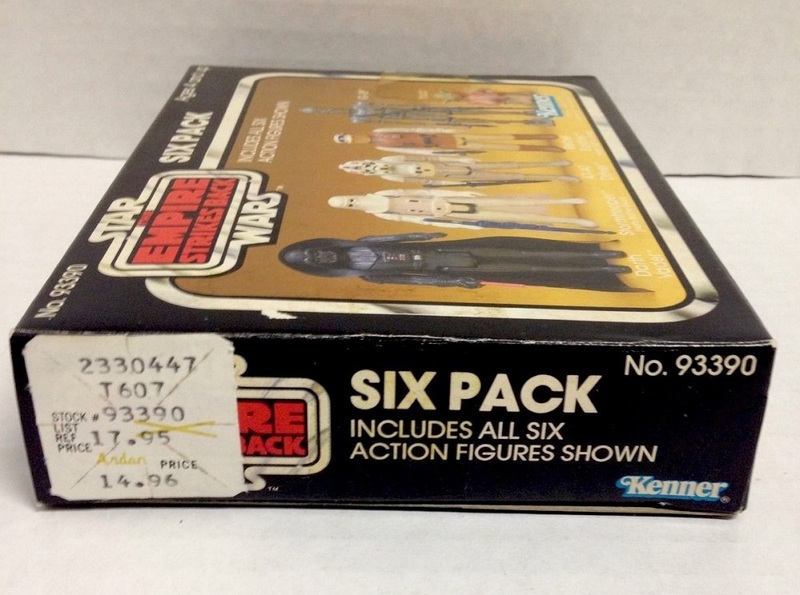 There were two Six Packs. 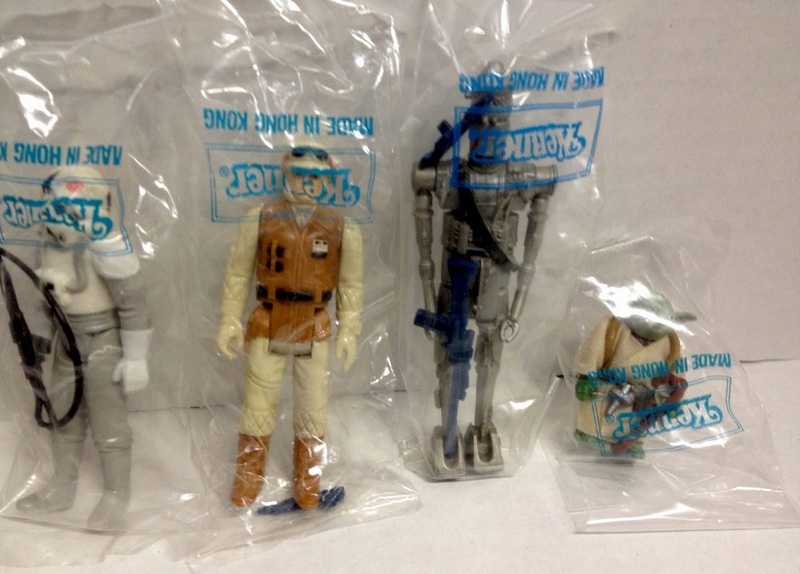 The second set had a red background and included Rebel Soldier, Stormtrooper (Hoth Battle Gear), Han Solo (Hoth Battle Gear), Darth Vader, C-3PO, and R2-D2. 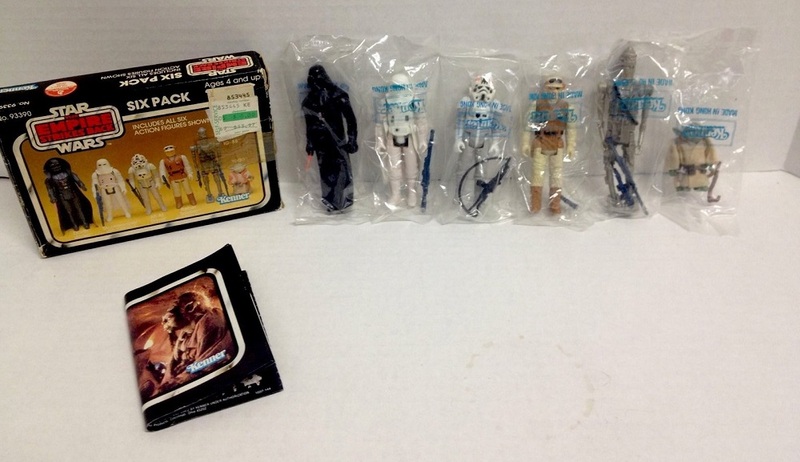 Note the markdown in the first photo from $13.97 to $5.00. 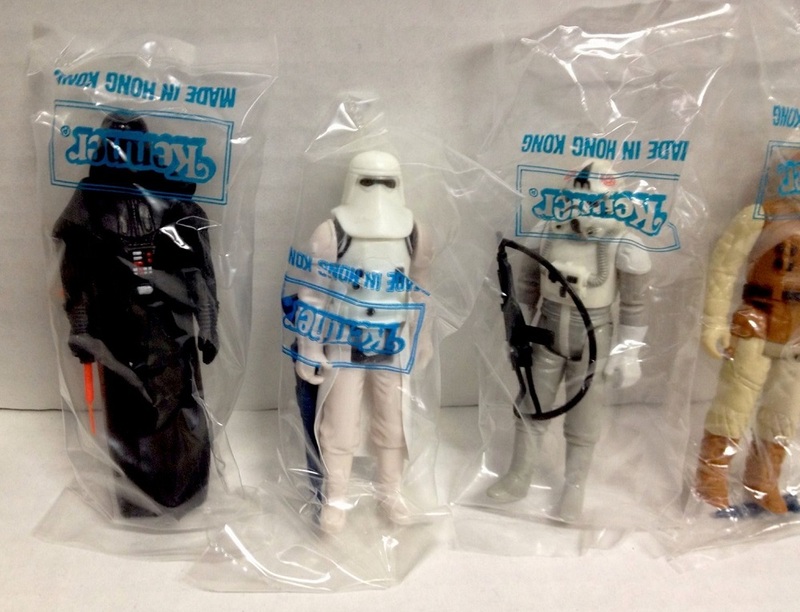 The last photo shows a different set with a markdown from $17.95 to $14.96 ($2.50/figure, about the average when sold separately). 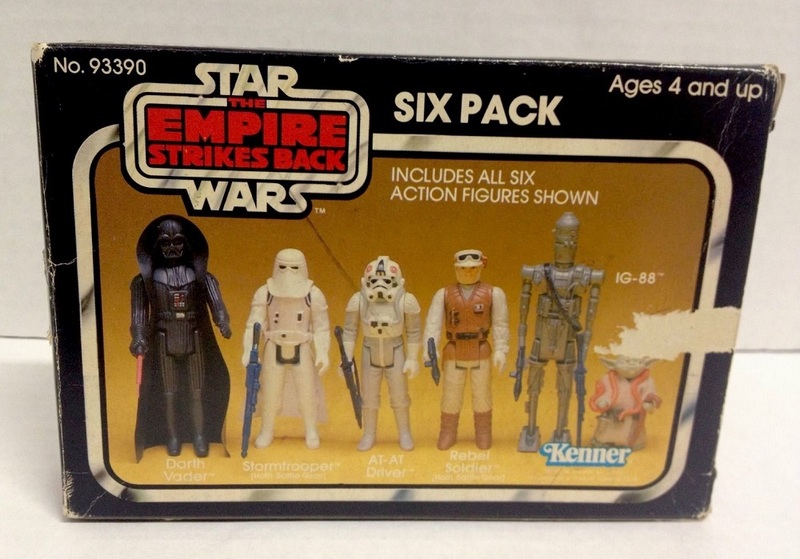 The copyright date on the box is 1981, and the ESB figures first appeared in 1980, so the only thing I can think of to justify the $5.00 price is that everyone already had the individual figures by 1981. 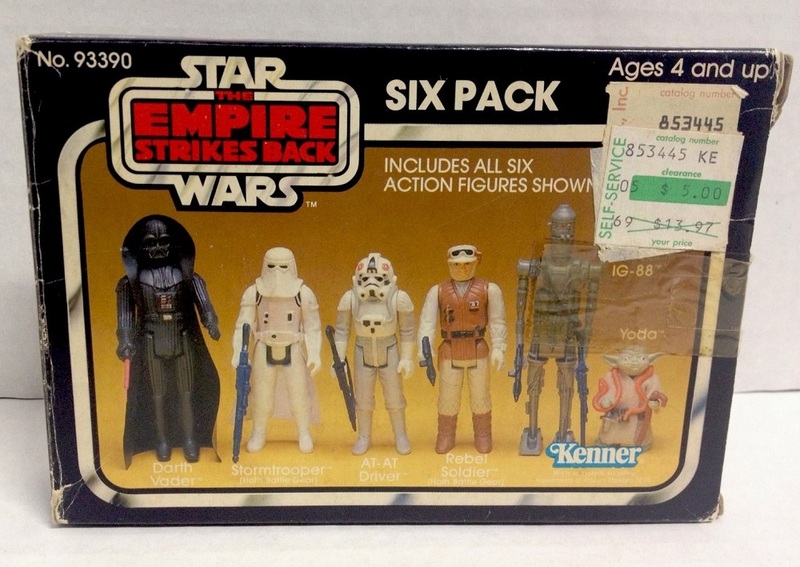 I know Sears had an exclusive or two – I had one that came with a cheapie cardbord cutout version of the Bespin carbonite freezing chamber and four figures: Ugnaught, Lobot, Han in Bespin outfit, and.. Bespin Guard? That green price tag was from the greatly missed Best Products from my home state of Virginia.